Tom Harper understands the laws that affect the workplace. For the past 25 years he has served as Editor of The Florida Employment Law Letter. ( “Recent Employment Law Developments”) This monthly newsletter has over 800 subscribers. As Editor, each month since 1989 Mr. Harper has reviewed employment cases and decisions by the courts and administrative agencies. Mr. Harper has authored numerous articles and publications on labor and employment topics. Mr. Harper is an Adjunct Instructor for the University of North Florida, Division of Continuing Education where he teaches programs to business owners, managers and supervisors on labor and employment law topics. 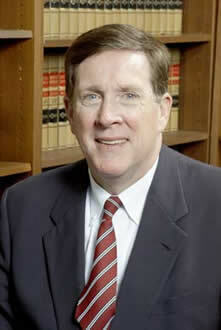 He is the current Chair of the Labor and Employment Law Committee for the Jacksonville Bar Association. Mr. Harper is also trained and experienced in other forms of Alternative Dispute Resolution (ADR). He is a Florida Supreme Court Certified Circuit Court Mediator. He is an Approved Mediator for all Florida Circuit Courts and for the U.S. District Court for the Northern, Middle and Southern Districts of Florida. Mr. Harper also understands the value of employment-related cases since he has maintained for years a record of jury verdicts in employment cases in Florida. We work closely with Human Resource professionals and General Counsel to develop personnel policies that PREVENT employee disputes. We also listen to the problem on your desk today, and plan, with you, the best solution toPROTECT your interests. When the lawsuit or union campaign or demand for arbitration arrives at your doorstep, or when it becomes necessary to take the fight to your opponent, we zealously Defend or PROSECUTE the action for the best possible outcome.